Dubai, 15 April 2018: Dragon Mart has named Dubai-based Ines Akari as its official Toy Detective, following a two-week recruitment drive among mums across the UAE. Ines, who beat over 200 mothers to secure the role, was chosen for her passion, enthusiasm and communications skills. 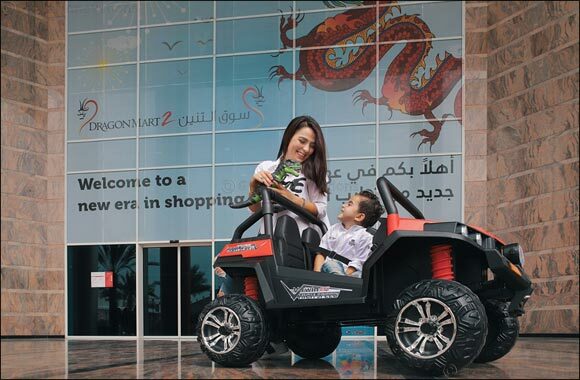 She will share her adventures and recommendations for the best toys with other mothers across the UAE through her personal and Dragon Mart's social media channels. The Toy Detective selection was based on certain criteria, including a genuine passion for children's toys, a strong social media presence and a great sense of adventure. Ines is a full-time mother with a three and half year old son, and is always on the lookout for the best toys for her little one. She has a degree in Medical Technology from Higher Institute of Medical Technologies of Tunis, and has worked in various fields including sales, modelling and as an air stewardess. Akari loves globetrotting with her son, who has been to 10 destinations so far. Dragon Mart is the largest trading hub for Chinese products outside mainland China. The destination is home to over 4,500 shops, restaurants and entertainment outlets offering a wide range of products including children's toys – for all ages at highly competitive prices.